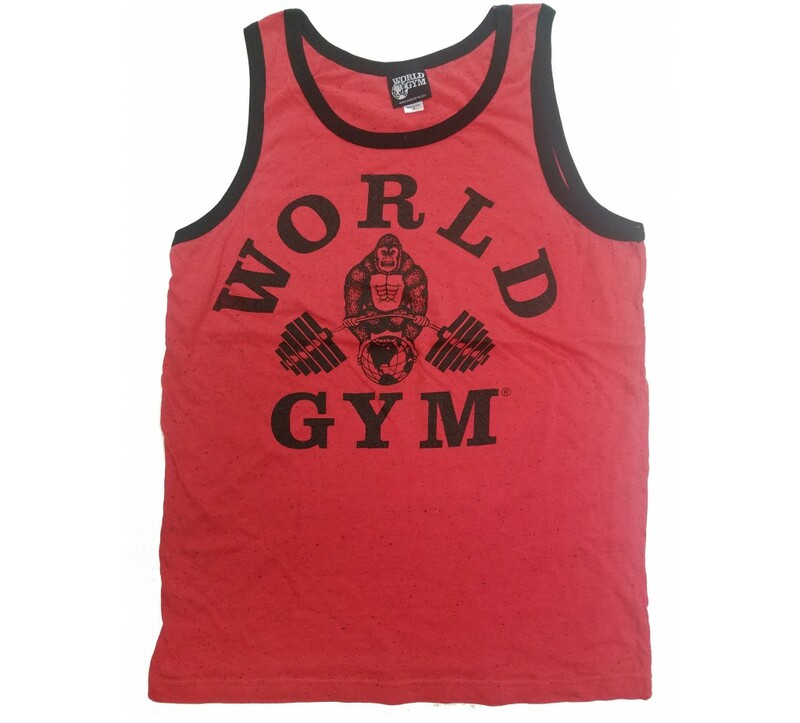 Mens Tank Top often called athletic, regular, or full-cut. 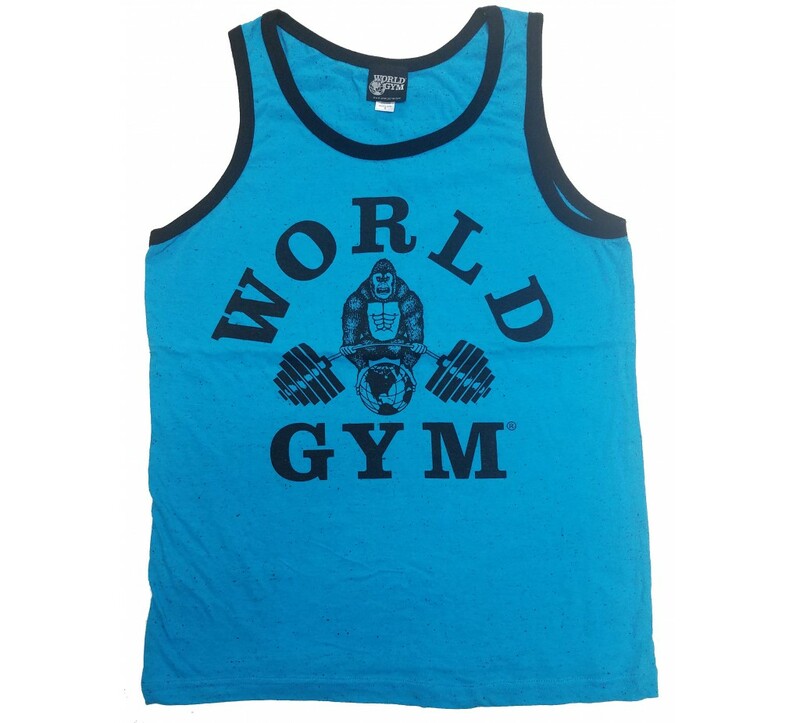 It has wider coverage than a racerback tank or stringer tanktop. Almost like a sleeveless muscle shirt. Most colors are 100% cotton. 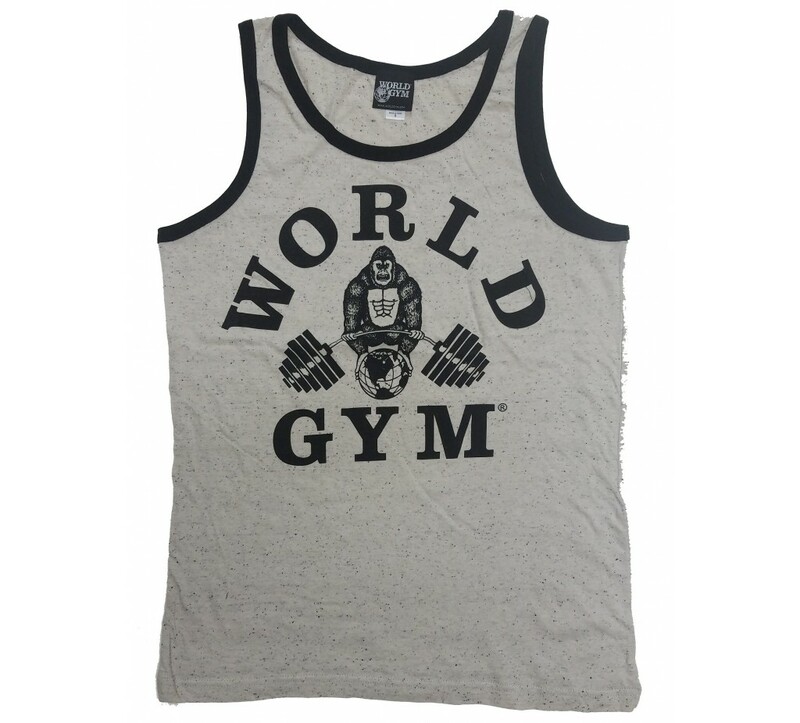 This World Gym clothing mens tank top ships same day.